'The rains have slowed down in and around the Idukki dam since last night and hence the water level in the dam has also come down,' State Power Minister M.M. Mani said. IDUKKI: Thousands living around the Idukki dam and in Ernakulam and Thrissur heaved a sigh of relief on Saturday as the heavy rains predicted in Kerala did not happen and as a result the Idukki dam waters ravaging the area over the last few days subsided. 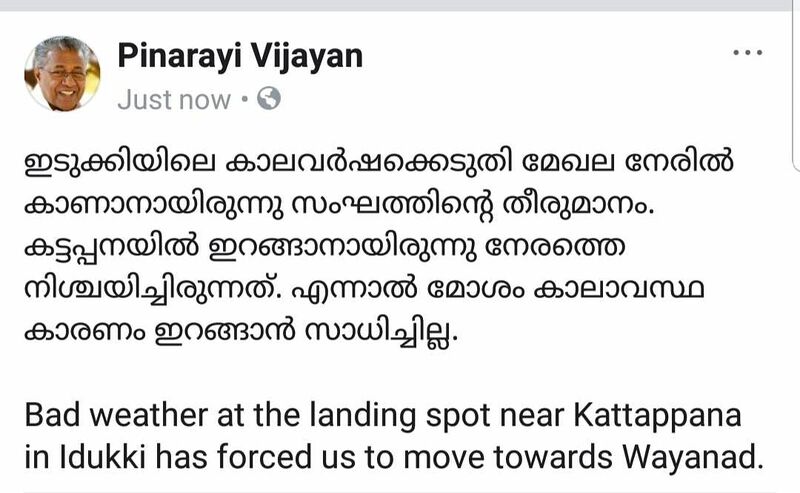 Kerala CM Pinarayi Vijayan's facebook post about his Aerial survey.